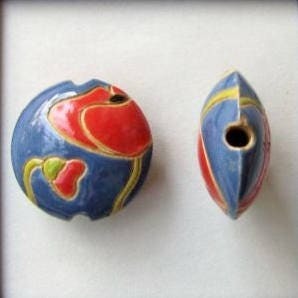 Red Poppies On Dark Blue ~ are beautifully handcrafted ceramic lentil beads made in Bulgaria. Beautiful bead. Lovely colors. Fast shipping.